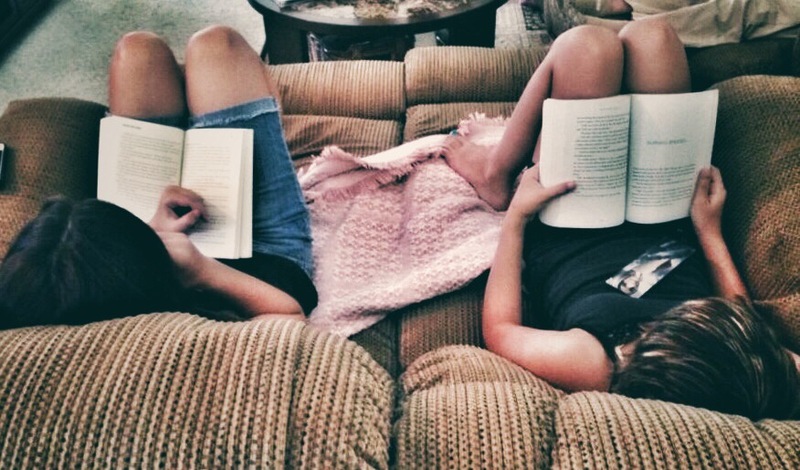 Co-reading, or sharing a book with a friend because you desperately wanted someone to discuss it with, was all we had before fan fic and reader communities. In 2013, author Rainbow Rowell wrote a sweet piece about “geeking out in a vacuum” before the rise of Internet fandom—how, before you could open a browser and find a stranger who was into the same movie/TV show/book you were, you had to rely on your IRL friends. It’s a prevalent theme in her work: Her runaway YA hit Eleanor & Park sees the titular characters bond over an X-Men comic he reads on the bus, while Fangirl depicts the bond between twin sisters who grow up writing fanfiction together. In many cases, however, finding a kindred spirit wasn’t so happenstance. In fact, the real test of a friendship was whether your BFF would be willing to give a TV series or book that s/he may never have picked up a fighting chance—all because you liked it so much that you were dying for someone to talk to about it. I’m part of the subset of Millennials who first started going online around the age of 12, during middle school, in the late ‘90s/early ‘00s. But for years before that, my best friend and partner-in-crime Heather and I were each other’s dependable reading buddies. At that age, I spent my lunch periods playing Star Wars with Heather, reading, or writing my fantasy novel, so I clearly had a very one-track mind. When I started the Young Jedi Knights series, I begged Heather to read along so that I had someone with whom I could create wild theories about Han and Leia’s twins. It was only fair, then, that Heather ask me to dive into Tamora Pierce’s world. Pierce’s books were the turning point. I still remember our first experience co-reading in real time: We were on a Girl Scouts retreat; the rest of the troop was out hiking, but because Heather and I both had especially bad cramps, we stayed behind. I was lazing around in the pool when she floated over with a book in hand. On the cover was a boyish redhead glowing with purple magic. “You have to read this,” she told me. “It’s about a girl who disguises herself as a boy to train to be a knight.” OK, she had me with the knight part—I was a sucker for medieval stories. “And she gets her period!” Well! As one of the few girls in my class to hit puberty early, I was in sore need of commiseration, even from a fictional character. We climbed out of the pool and read side-by-side, lying on our stomachs in the sun. I was hooked. After that Girl Scout trip, I went to the local bookstore and bought up the rest of Pierce’s Song of the Lioness quartet. Heather and I read at dizzying speeds, grabbing each other in the hallways to check which part we were on. We created our own in-jokes about the series, and that Halloween, we convinced our poor mothers to make costumes of our favorite fictional characters. My mom gamely made me an Amazonian getup to be Tenel Ka (from Young Jedi Knights), while Heather chopped her hair off, dyed it red, and wore a tunic that matched Alanna on the cover of Alanna: The First Adventure that she had first shown me months before. That day at school, we acted as each other’s interpreters, explaining to other students who our characters were. If either of us had had to do that alone, it would have been excruciating—the fumbling to streamline a character’s complicated backstory before the other person’s eyes glazed over and they decided it was better simply not to know the answer. But each of us lent credence to the other’s choice of Halloween costume—and, on a larger scale, reading material—by knowing what it was. Soon after, we discovered FanFiction.net, LiveJournal, and the fun of writing Tamora Pierce fanfiction. We both rose to prominence within the fandom, writing for fanfiction challenges and gift exchanges. But we still beta-read each other’s fanfics; it was like co-reading, but delighting in each other’s creations within this shared world. 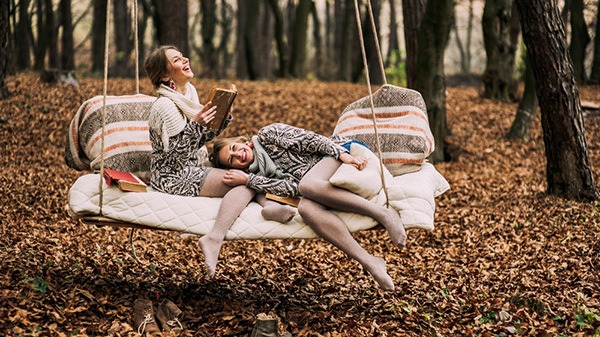 Thanks to the Internet and to communities like Read It Forward, it takes almost no work to find kindred spirits who happened upon a book you love and are just as eager to talk about it. But there’s a special place reserved for those friends whose enthusiasm might be more manufactured because of extenuating factors, but whose love for you, and for engaging with art that excites you, is nothing but genuine. Image credits: mazik/Twenty20, dmf5471/Twenty20, Versta/Shutterstock.com.